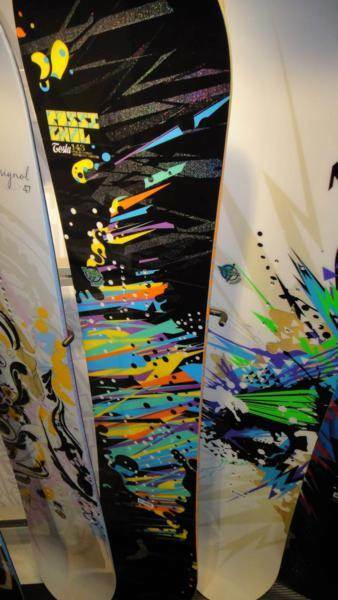 The Rossignol Tesla is a great beginner freestyle board for the price. With the exception of the extruded base you get higher end tech that is pretty damn good at a low price. Still the extruded base isn’t terrible and isn’t a bad idea for beginners because it doesn’t require much maintanence. The mostly rocker hybrid camber makes for stability between the feet that translates to better one footing, flat basing and a better all around feel when approaching park features for the first time. It’s not terrible if you head out to the mountain either. 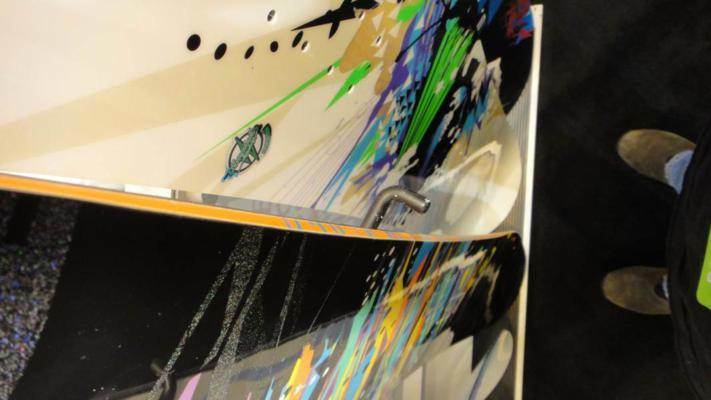 This is one of the better all condition rocker/hybrid camber beginner boards you can get your hands on. It’s not going to compete with the higher end snowboards but it has a very solid yet forgiving all conditions freestyle ride. Since the addition of Amptek (hybrid camber) not much has changed but it’s still a good board. 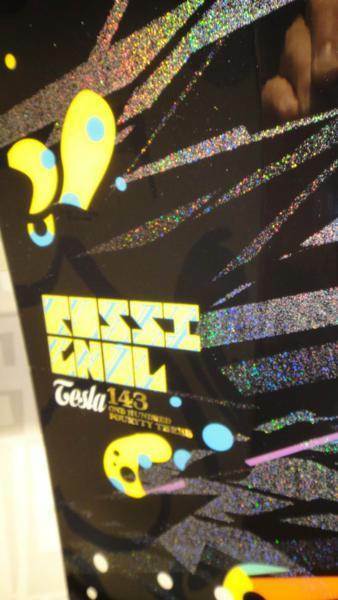 We try to get as many images of the Rossignol Tesla, but forgive us if they're not all there.